Writer Greg Pak and Co. are in the final hours of their already successful crowdfunding campaign for ABC Disgusting, a children's alphabet book about disgusting things. Having blasted past their initial goal of $24,000, they've come up with some cool, fun stretch goals -- and met them. This includes stickers, gross-out videos, a fart-filled song, and soon, maybe even a whole 'nother book. They reached $26,000, so now everyone who picks a physical reward gets a super-sized 6"x9" sticker sheet of disgusting things drawn by artist Takeshi Miyazawa. They reached $28,000, so Greg, Takeshi, colorist Jessica Kholinne and singer/songwriter Jane Lui all posted videos of themselves eating bananas and ketchup. Groossssss. Gag. They reached $30,000, so now every backer will receive an mp3 of an "ABC Disgusting" theme song to be written and recorded by Jane Lui. In this interview, Jane promises to employ fart noises -- or heck, maybe even a real fart -- in the song. Get that microphone ready, Jane. 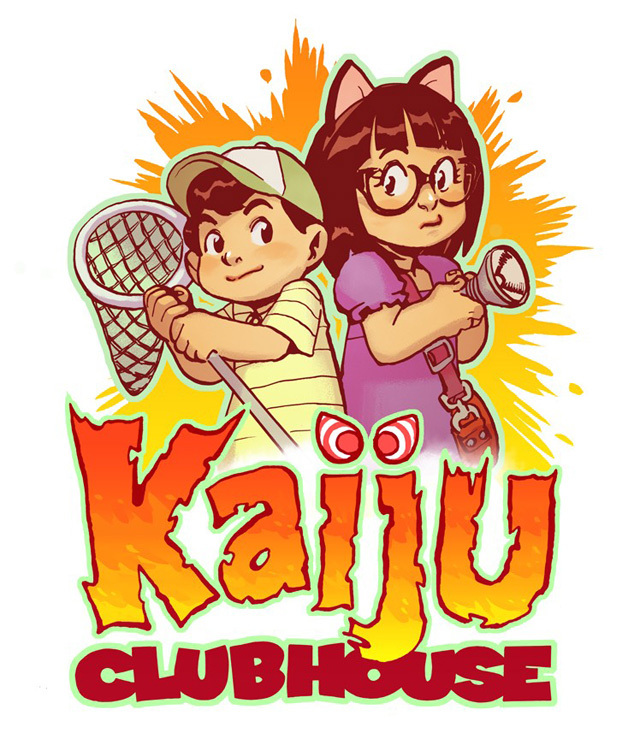 And now, if they reach $40,000, Greg and Takeshi will make a whole other new digital book with black and white illustrations, Kaiju Clubhouse, featuring the brother and sister from ABC Disgusting as they hunt for monsters -- and get the surprise of their lives. Can they make it to $40,000 by Wednesday morning? With your help, yes! To learn more about ABC Disgusting, and to make a pledge -- basically, it's preorder -- head over to Kickstarter.